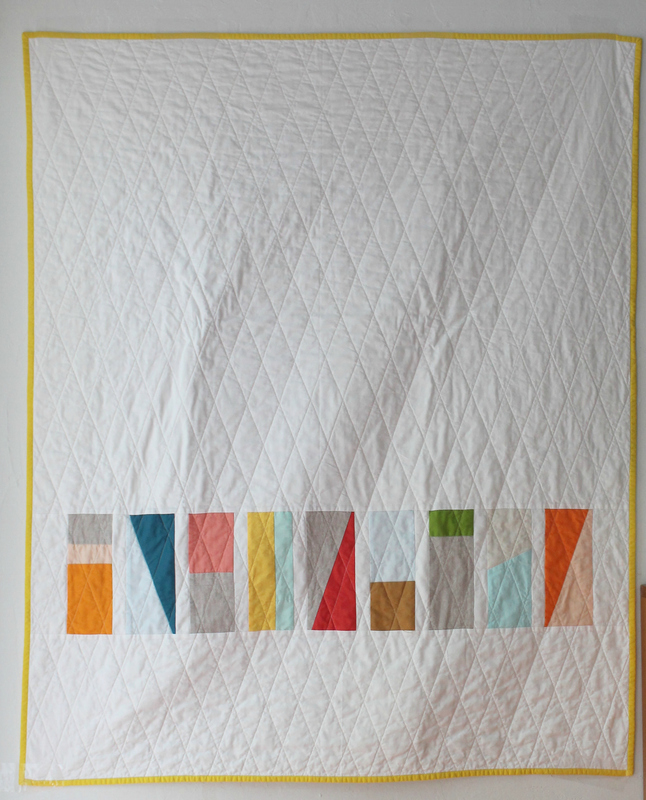 I just finished another version of this “domino” quilt. 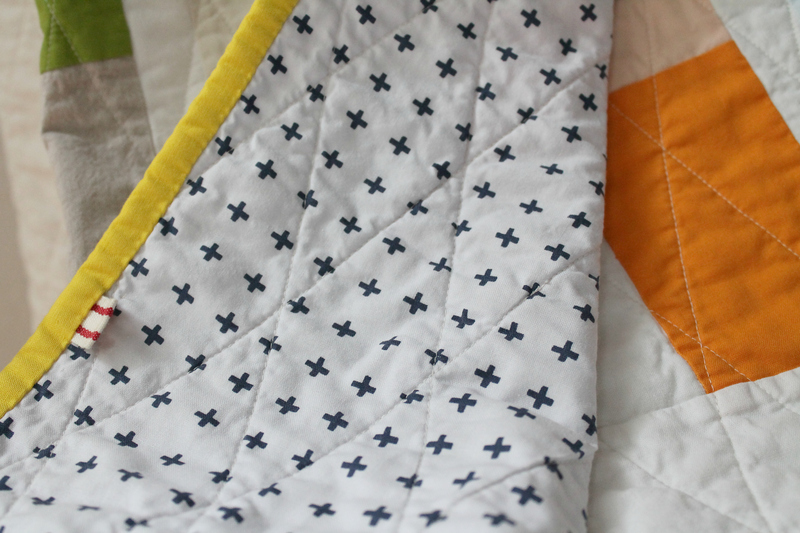 I rarely make the same quilt twice, but this pattern is so much fun. It feels colorful and playful but still sort of minimal. I used a little more orange in this version and I really like the warm and sunny palette of this one. I went with yellow binding, again. I think the yellow looks great with the backing fabric (a Zen Chic print). I am liking yellow more and more these days! 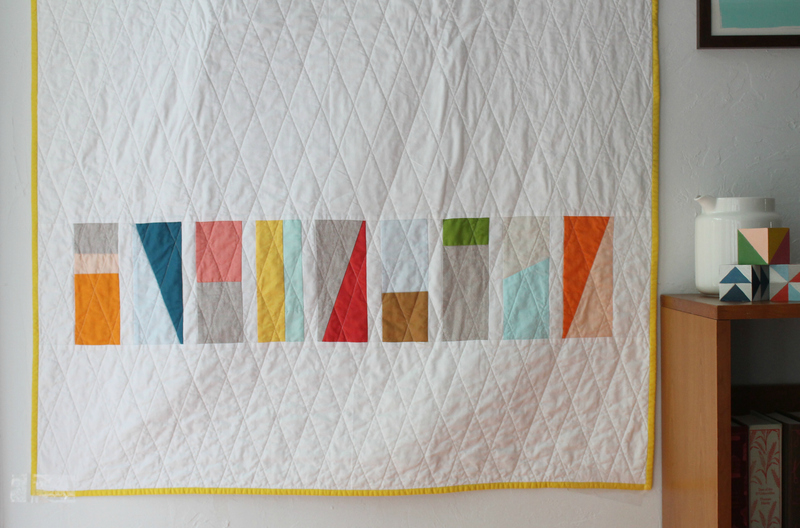 This entry was posted in kids stuff, quilts and tagged domino quilt, minimal quilt, modern baby quilt, quilt design on April 26, 2015 by brigitdermott.